How nice of Noodle to create the graphics for you. Noodle's graphics are lovely. What a sweet and thoughtful gift for you. Those are truly beautiful. Thank you for sharing them in our blog hop. Beautiful loving job! How wonderful for you to look at and smile! And I know you will smile. They were such good kitties and you have awesome angels! What a beautiful representation of where we know they are now. I know it is an impossible task, but I do hope you are okay Melissa. 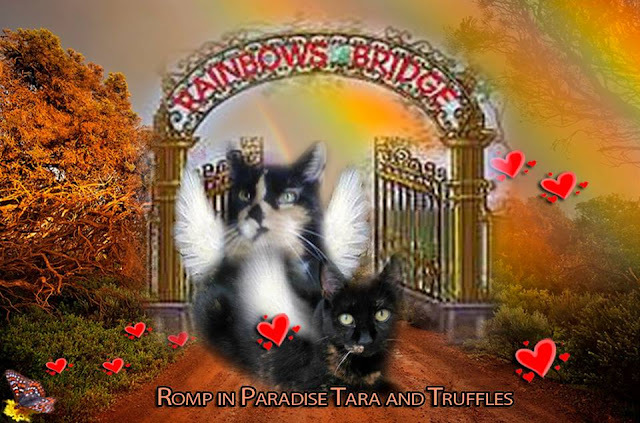 These images are absolutely stunning - what a beautiful tribute for your darlings.Purrs from Deb and the Zee/Zoey kitties. We know you would rather have your kitties. Those are beautiful. 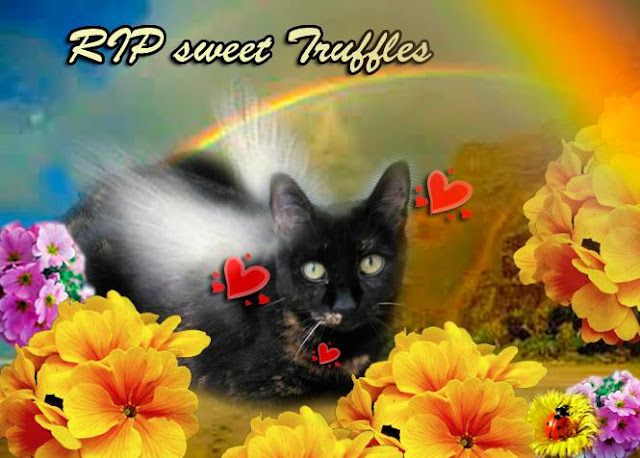 I hope Truffles and Tara are together at the bridge meowing about what a great Mommy you were to them. Wonderful! Wes has tears for yous! Beautiful images from the Rainbow Bridge.